What makes you want to be in the kitchen? Would a little color spice up your next dish? Forget the boring black or white appliances. It is time to add some violet, yellow and green to your counter top. Just think about it.A red coffee pot can make you feel more energized and passionate in the morning. A blue toaster can help you feel more relaxed and balanced. Any green appliance can bring a touch of nature and growth to your kitchen. 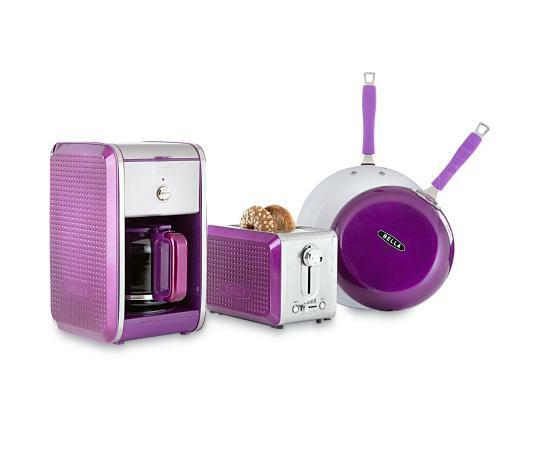 Bella Dots Collection from Sears will make your kitchen come alive with color! Check out these appliances available at your Sears store. Prices are under $44.99.